Snow is a precious thing where we live. We get snow, but not very often. Nor does it say very long when it actually does snow. My son was especially excited about our recent snow since it came during the week we were studying snow in science with My Father’s World First Grade. I love when things work out like that! At the sight of the first few snowflakes, he took a magnifying glass outside to get a closer look at them just like Snowflake Bentley, the man who photographed snowflakes and studied them for his life’s work. It was adorable, to say the least. We had just picked up a stack of snow books from the library and read through a few, so the timing was perfect. 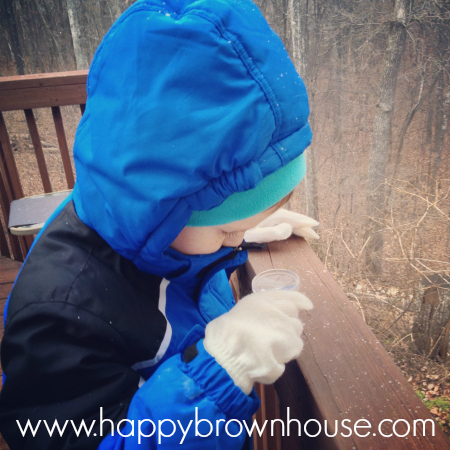 Jonah found that placing a black piece of paper outside to catch the flakes was the easiest way to observe snowflakes. He got this idea from the book, Snowflake Bentley. I just love the way his mind works! As he studied the snowflakes, he found that each snowflake is different and they are beautiful up close. 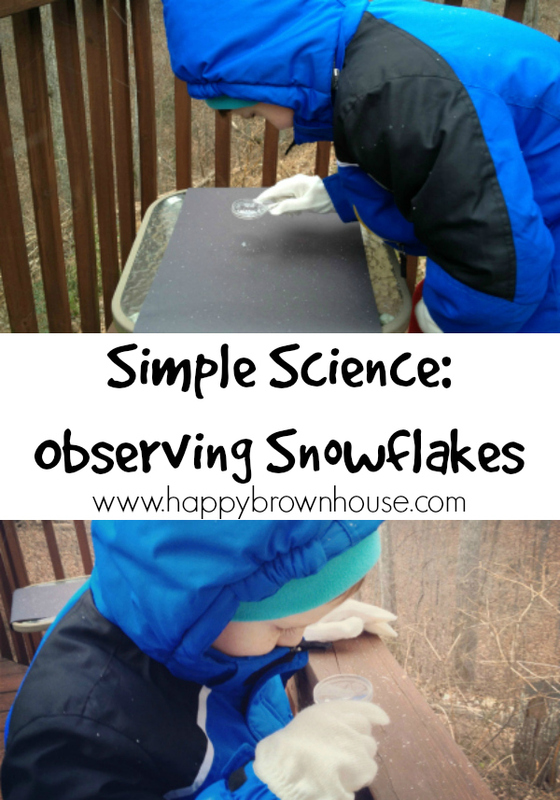 This was a simple science activity for winter time. 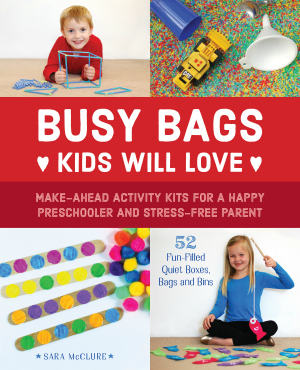 This activity would be perfect to round out a winter unit study and reading winter books for kids. When the snow accumulated, we had some indoor snow play with a snow sensory bin. It was the perfect way to play in the snow, but still be warm and comfortable inside. The boys observed the snow melting with this snow sensory bin. This is great. Would you consider linking this up to my Science Sunday linky this Sunday?